Leadership is a fine art. Research has found that the best leaders are able to shift effortlessly through a variety of styles to get the most out of their teams whatever the situation demands. Leadership communication is just the same. When Phil Neville, newly installed coach of the England women’s football team, said this was he setting a high-standard for performance? He may be in his coaching sessions but I’d argue that a relentless positive attitude, and desire to be your best at all you do, is required in a sports leadership role such as managing an England football team. That includes how you communicate. Two of the most successful leadership styles are one based on putting people first (affiliative) and one based on motivating people to be the best they possibly can be at any given task (coaching). Both of these reap positive results for the individuals as well as the broader team. Both are focussed on the people being led, motivated and improved rather then focusing on the needs and wants of the leader themselves. Compare this with Phil Neville, who spent much of his first pre-match press conference talking about himself in negative terms. Despite being an extremely experienced player with the ninth-most Premier League appearances he seems to have quite a chip on his shoulder. Furthermore, Neville was failing to demonstrate any grasp of basic emotional intelligence - his Tweet about beating his wife was probably a good indicator too - when it has been proven that leaders with a greater range of emotional intelligence are more effective leaders. The result was a succession of negative coverage focused on Neville rather than the team and what they might achieve together. 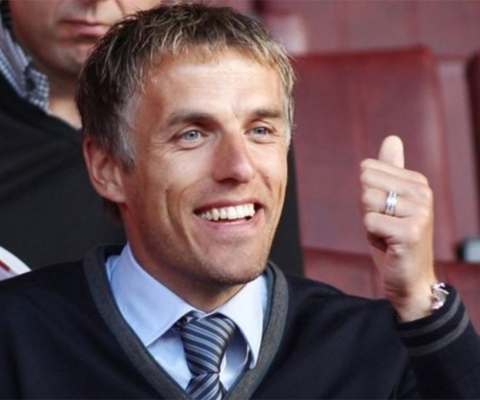 He might prove to be very successful manager but, if this is to be the case, he needs to show a greater level of self-awareness and less of a chip on his shoulder which is why Phil Neville is my Mis-Communicator of the Week.